This is a linoleum block print that I designed. 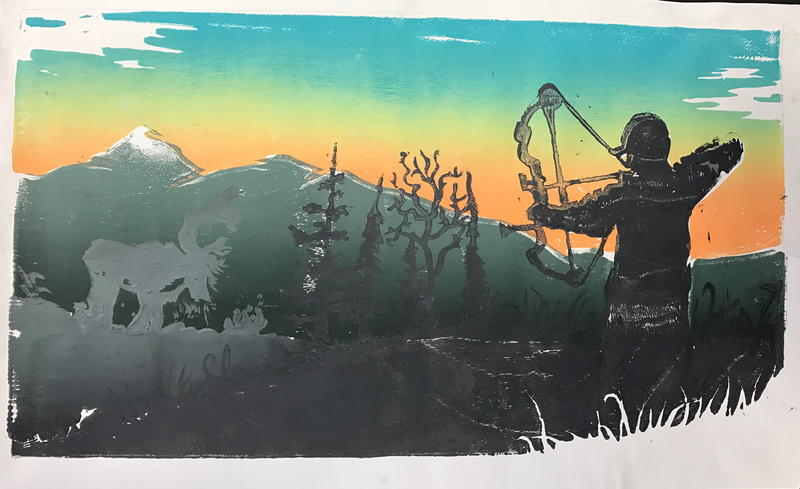 I based the print on a photo from a fishing trip to Valdez. It made an interesting still life and I liked the patterns that were created during the carving process. 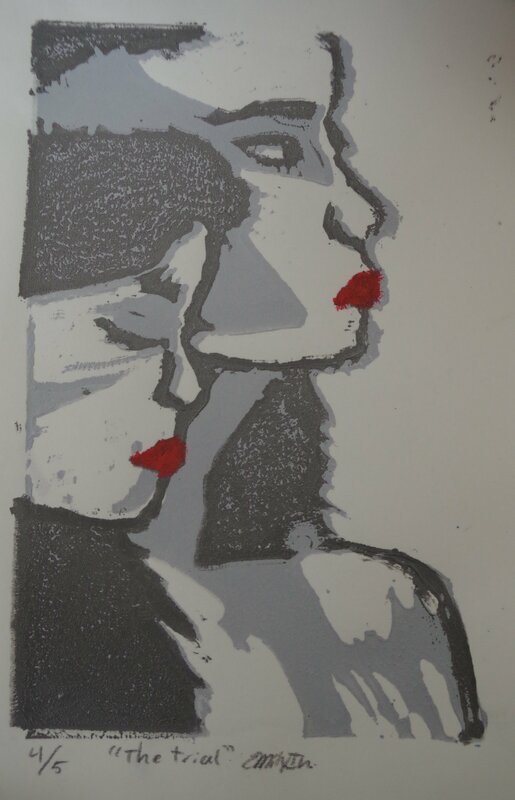 I’ve always been mystified by the human face strcutre and I wanted to integrate that into my block printing project. Emotionally, we are able to convey what is most important to our human existence through our faces. Artwork Dimensions: 5 x 7"
I wanted to try printing white on black paper. That gave me the idea for the astronaut and the moon. 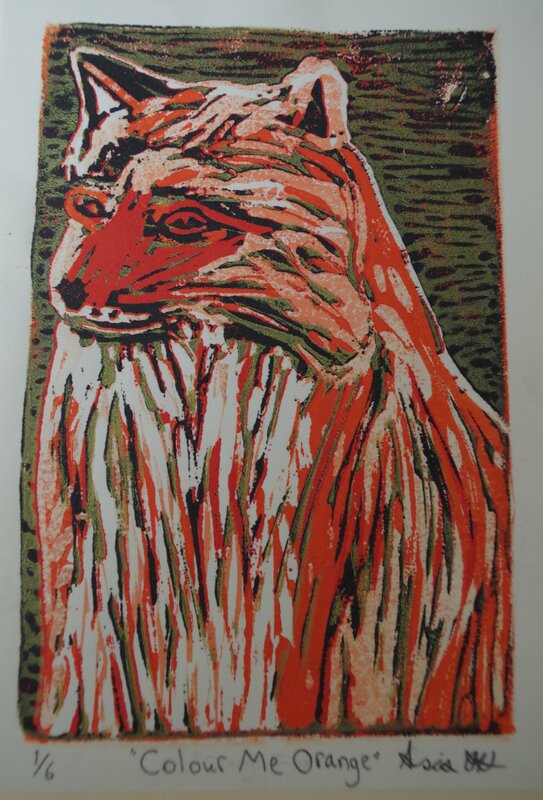 I chose to make a block print of a fox because I wanted to make an animal that lives within Alaska. I chose the fox out of all the other possible animals because their colours are soft and beautiful. I also chose the fox since not many people think of foxes when they think of Alaska, and I think it’s nice to mix things up a bit. 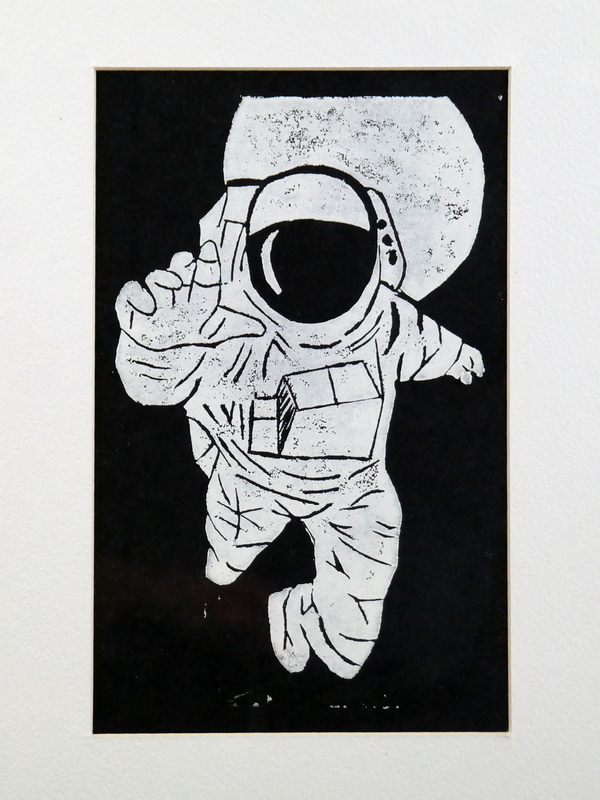 This is a linoleum block print showing a favorite activity of mine. I used three blocks to give a sense of depth to the print.